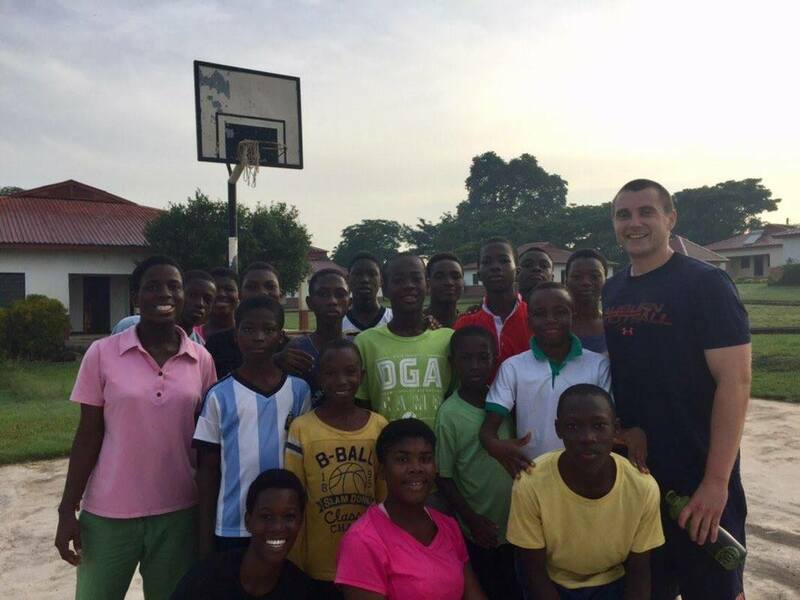 The MOAM vision was originally drafted by Drew Boe after he returned home from his first mission trip to Rwanda. Drew was also surrounded by incredible mentors during this time while he was working with the VT Football program and completing his Master’s Degree. It was throughout this time that Drew began developing the MOAM framework with his Nonprofit and NGO Management Advisors. His three weeks in Rwanda allowed him to experience first-hand the transformational power of a mission trip for all involved. This led to the creation of the Development thru Service motto upon which MOAM is built. MOAM believes these children are the future of Africa just as Student Managers, Graduate Assistants, Interns, Bat Boys and other aspiring sports professionals are the future of sport. This is why MOAM is committed to seeing the most influential platform in our country used to provide support to those in need. ​Drew’s experience allowed him to realize how a mission trip allows individuals to put life into a new perspective as they witness how hard-working, joyful, and loving the African people are despite the struggles and harsh living conditions so many are forced to endure on a daily basis. It was a life changing experience for him to witness first-hand how God has truly utilized the combining of missionaries and Africans to cultivate the minds and hearts of orphans to passionately love God and their neighbor. Drew found these children who appeared to have “so little” in worldly standards, to be the most fulfilled and joyful children he has ever met. ​Residing in Africa, if only for a short period requires a dramatic adjustment of perspective for Americans, to realize the fulfilling lives these individuals appear to live even though they are without so many items that some Americans often believe are necessities for happiness, such as wealth, television, internet, or even electricity. Additionally, these citizens currently live among the highest child mortality rates, the lowest literacy and numeracy rates, and the lowest life expectancy rates in the world (Rafiki, n.d.). ​The mission trip experience generates positive impacts for all of those involved. Barbara Wall, Special Assistant to the President for Mission Effectiveness at Villanova, reflected on the transformation they witnessed among their students engaging in missionary trips. She explains, “They learned a great deal about themselves through contact with people from economically, culturally, socially and racially diverse communities. The extended time periods in a diverse cultural context stretches our students in many ways, especially in reflection on faith and justice.” (Villanova University, 2005)..